If you’re a fan of the Hitchhiker’s Guide to the Galaxy, then this day is not a new day for you. But for the rest of us, here’s a great infographic from our friends at Lemon.ly that gives you an idea of what the rest of them are doing carrying towels around. 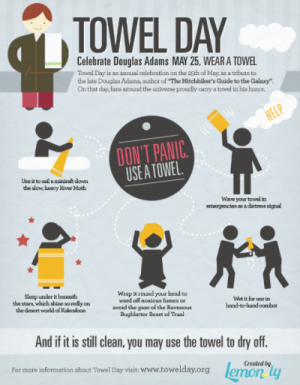 At the ARPA, we’d like to remind you of a different way to celebrate National Towel Day, by donating towels to your local animal shelter. 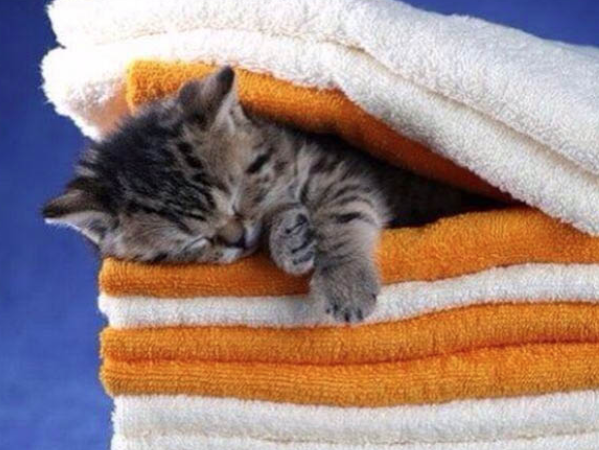 Animal shelters across the country are always in need of towels. They have many different uses for the towels beyond just drying the animals off after a well-deserved bath and nothing makes for comfier bedding than some nice fluffy towels for a rescue dog to sleep on. So go on and clean out your linen closet of all of those towels you never use anymore, and make a trip to your local animal shelter to donate them. They’ll be happy to see you and very appreciative of your donation.